Before riders start doing high intensity intervals or pacing with a power meter, they should always begin by testing their physical performance. Remember: setting the right pace is absolutely crucial if you want to get the most out of high quality interval sessions. 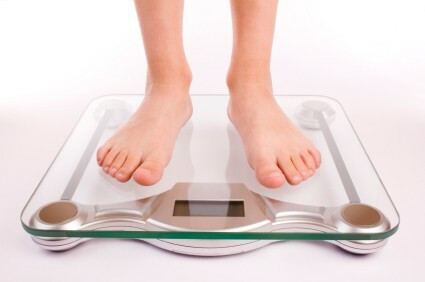 Performance tests give a great overall picture of your aerobic potential. 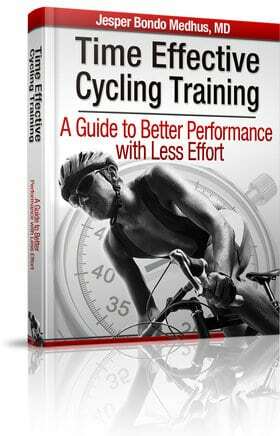 The simplest method is to take a relevant performance test and base your intervals on the results of your performance. A good example is a 30-minute max test to get a picture of your threshold power. The result from this test is closely related to your functional threshold power, so using it as a reference guide for threshold power intervals works well. Functional threshold power is often the most determinant factor in road cycling and that is probably why you are reading this article: You want to learn how to increase your threshold power because that will make you a better endurance athlete. In theory, this 30-minute max test could actually over-estimate your real, functional threshold power. But the bottom line is that you should base your sub-threshold and threshold power on your performance in the 30-minute max test and then just get the training done. Don’t worry about the theoretical aspects and the arguments for and against certain performance testing. Remember this: getting your training done is what makes you better. If you “walk the walk” and not just “talk the talk”, then you are far likelier to achieve your goals and fulfil your potential. One added bonus from taking a performance test is the ability to track your progress throughout the cycling season. As you get stronger, this will easily be measured by taking further performance tests as the season progresses. When you have followed a training program for two or three months, it is really satisfying to see what difference all the hard work has done to your performance. It’s a great stimulus for your motivation when you can see that your 30-minute maximum power is up by, for example, 15 watts while your body mass is lowered. Before you start tackling high intensity VO2 intervals, it is strongly advisable to perform a five-minute all-out performance test. This will gauge your average power output (in watts) at maximum oxygen consumption. This is the most reliable test and it can be done on a stationary bike or on the road if you own a power meter. The most important thing is you get a number for your average power output. When you perform one of these tests, try to estimate how much power you can produce for, let’s say, five minutes and then keep a consistent pace. It might be necessary to adjust your pace throughout the test, but that’s how performance tests (and time trials) are. If you use heart rate monitor as your main pacing tool then your average heart rate during the last 20 minutes of the 30-minute test is an excellent indicator of your threshold heart reate. In my latest e-book, the 12-Week Winter Training Program, I discuss the merits of performance testing in much more detail. For example, in the training program itself, I recommend that you perform a 30-minute test and a five-minute all-out test in week one. 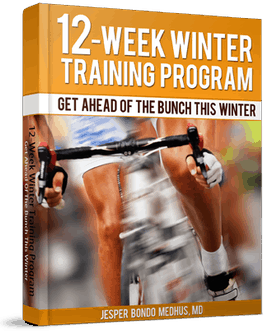 You can read the story behind the 12-week winter training program here. The New Year has arrived and this is the perfect time to set new goals and targets. So why don’t you challenge yourself with two performance tests here in week 1 of 2012? (in case you haven’t performed these tests recently). Hi. I’m new to power . I finished my first FTP test 2 weeks ago the test I was told to take was . 2 x 20 min with 2 min easy in between and the total ave. of the 42 min was my FTP . Is this a very accurate way also to measure FTP and to set training zones from? There several ways to estimate your FTP. In this article I try to illustrate one simple way to test it. There are also several other protocols that will work fine – your protocol is one example. Don’t worry about the theoretical aspects and the arguments for and against certain performance testing. Now you have an estimate of your FTP and can begin to plan your intervals based on power output. Ok sounds good thank you for advice. First of all thank you for a great site! I have a question to your 30 min test in relation to your 12 week winter training program, which I just bought. I have taken both the 30 min performance test and the 5 min performance test, giving all I could during the tests. Yesterday I took the first training day acording to your 12 week winter program (5 times 5+5). In the program program you state a intensity in the intervals of 80-87 % of max pulse and 80-90 % of threshold power taken form the 30 min test. This is all good, but the problem I have is, when training acording to these percentages, my heartrate gets nowhere near the limit of 87% when doing power of 90% of my power threshold. Infact, the whole training feels like a light training where the resulting avarage heartrate is in the restitution area for me. I know this cant be right, so I think I’m doing something wrong? The 5 x (5+5min) Sub-threshold / active recovery is probably the lightest training session in the whole 12-week winter training program. It is a very easy introduction to the interval training. When you go for longer, constant pace intervals like 15 or 20min sub-threshold intensity you would have to work (a lot) harder. Also your heart rate will reach higher level.